Overview: We place strong emphasis on fulfilling our role and responsibilities as a corporate identity. We take great pride in maintaining the highest safety, health and environmental standards in our operations. The success and development of the business has been underpinned by our commitment to high standards of business conduct. 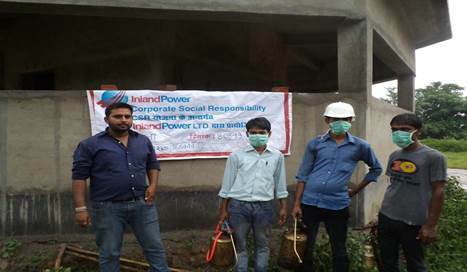 Pest Controlling Program - Company conducted pest control program in the most effective areas of Bubny village in Gola, Ramgarh. Approximately 50 houses, schools and temples are included in this program. 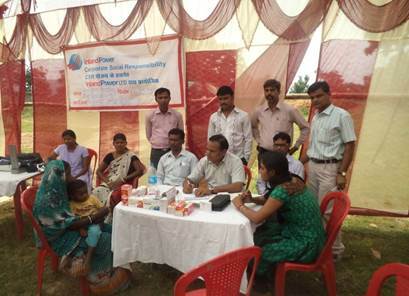 Medical health camps - Special medical camps were organized for skin, malaria, jaundice, diabetics and other diseases in Gola. Number of patients checked as recorded was around 200. 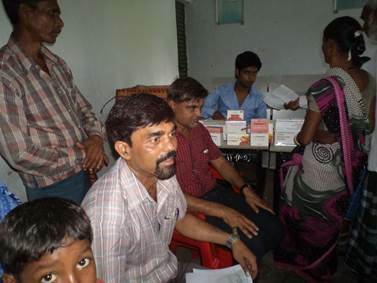 Free medical checkup camps were also organized at Bamhani village. Villagers from Karo, Dumariyatola, Urba, Beyang, Bariyatu, Serengatu, Tonagatu have benefitted through this camp. 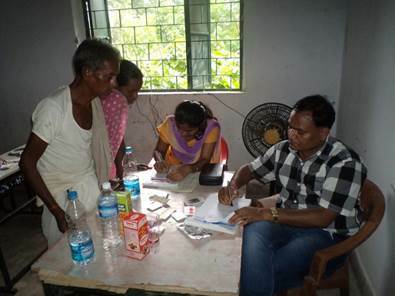 A complete medical facility was at the door of villagers. It includes blood test & other primary pathological tests, medicines, etc. Bamhani Regenerated Pond- On the request and recommendation of the local villagers of Bamhani in Jharkhand, Inland power Ltd undertook the task of renovating and constructing a pond in order to provide sufficient water during summers to the villagers for domestic purposes as well as to feed their cattle. The pond has been constructed to ensure convenient availability of potable water to the community. It will help in improving the quality of life of the nearby villagers since they would no longer need to carry water over long distances.The deepening resulted in enhanced water storage facility. This program will help the whole Bamhani villagers in the preservation of rain water which would assist the farmers. 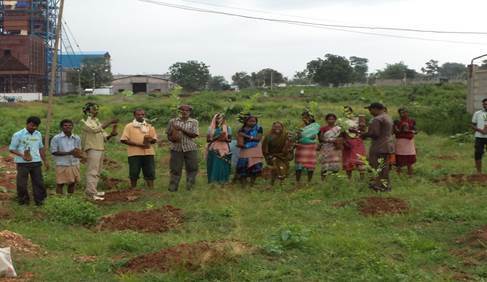 Religion- On the request of villagers of Beyang in Gola, IPL took the initiative of revamping the �MANDAI� which is considered to be a sacred and resting place of the Gram Devta . All the religious activities in the village be it wedding or worshipping, etc start from Mandai. As a part of the reconstruction plan, new boundary walls were built, new doors and racks were constructed.Also temples were reconstructed in Bamhani village, Ramgarh. Education- Education is the key to unlock the golden door of freedom. In its effort to uplift the communities around its area of operation, IPL has taken the cause of education with due importance. From organizing cultural activities followed by prize and sweets distribution on Independence Day to spreading awareness on the importance of education and sports, IPL has enabled young minds to realize their true potential through education. IPL organized painting competition for school children and constructed kitchen and store room for the the mid-day meals. It also conducted Vocational training program and appointed new school teachers to enhance the level and quality of education. Looking after the health and safety of the workers.